Goats are particularly important animals to Greece, accounting for 22 percent of the nation's milk production and, when combined with sheep, 43 percent of the nation's meat production. While there are numerous breeds of goat available, the most prevalent types are generally prized either for their milk production, their meat or their hardiness in the face of harsh climates. The Vlahiki breed is known as the only truly indigenous goat population in Greece, descended from the Capra Prisca, or wild goats, of the island. These goats are small and hardy, with short legs that are well suited to the country's rocky, mountainous terrain and thick hair that protects them from harsh weather. Their hardiness comes at a cost, however, as they have relatively low milk production compared to other breeds. The Skopelos breed is considered one of the most important goat breeds in Greece. It is the heaviest of the Grecian breeds, and even with poor quality fodder, they are high milk producers with around 5 percent milk fat, a relatively high percentage for goat milk. Goatherds and farmers often use the males of this breed to improve the genetic stock of other existing flocks. They are also used for meat, although milk farming is more common. Another small breed, Karystos goats are both disease resistant and hardy in harsh climates. They have short, smooth hair, usually black in color. The goats produce a lower volume of milk than many other goat breeds, around 16 to 21 gallons per milking period, but the milk is of a far superior quality. Due to their low production, these goats are often used for meat rather than milk, but the high quality of their milk has led farmers to attempt breeding Karysos goats with higher production. 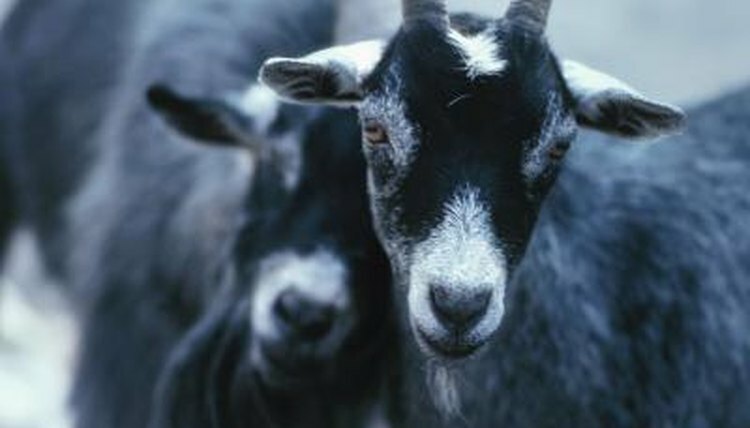 Due to the relatively small size and lower milk production found in many native Grecian goat breeds, many farmers choose to raise non-native breeds. Zaanen and Alpin goats are particularly popular for their high milk and kid production. With a goat population of more than 5,000,000 individuals, there is a multitude of lesser-known breeds as well, such as Kefalonia and Levadia, that exist in small pockets throughout the country.